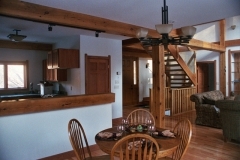 This barn conversion was designed by Jeff Stromgren of Rice Stromgren Architects and built by Mark Johnson as a model timber frame home. 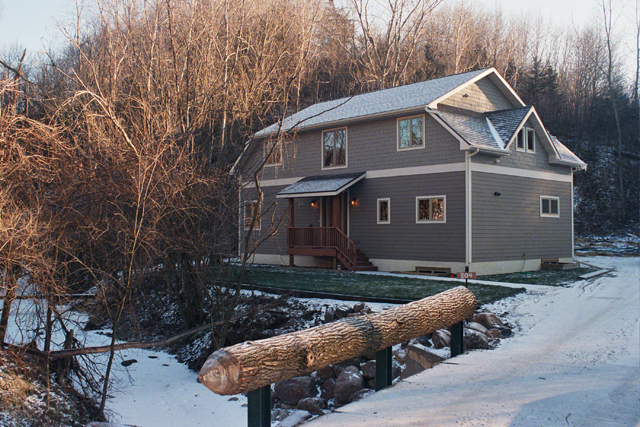 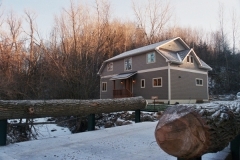 To access the property it was also necessary to build a timber frame bridge over a small creek. 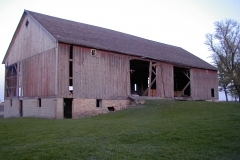 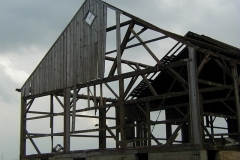 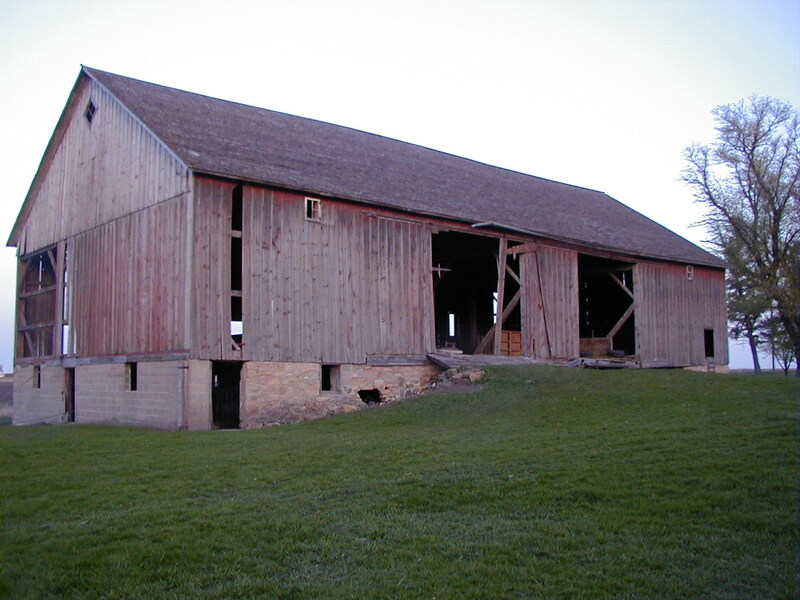 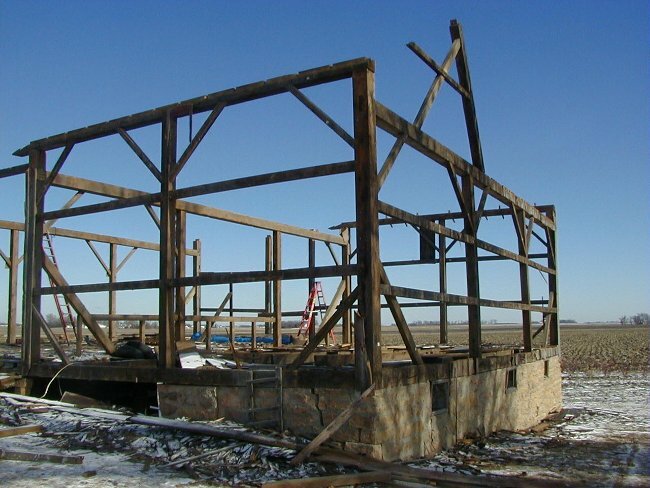 Only a third of the 48 x 96 ft barn frame from Southern Minnesota was used to design the home which features original patina 10×10 timbers 48 ft long. 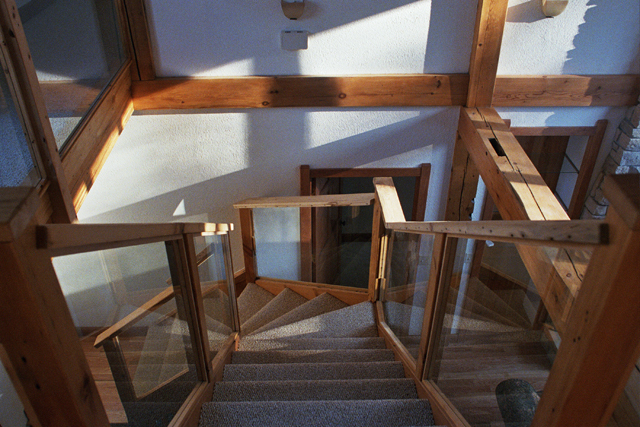 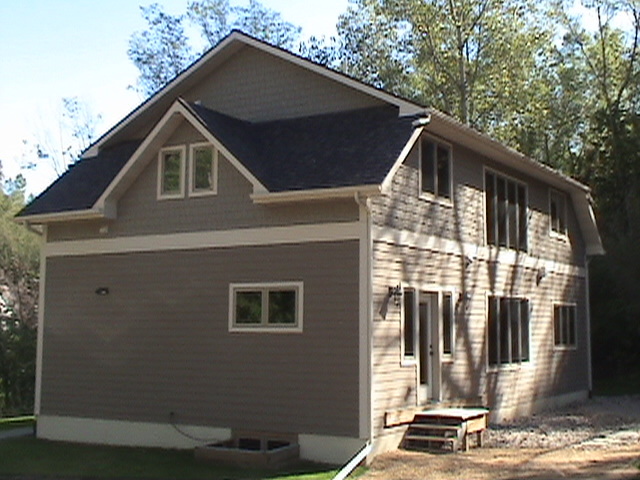 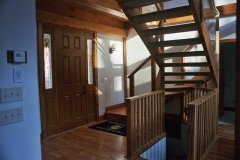 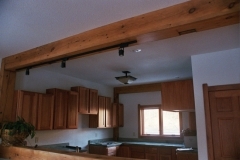 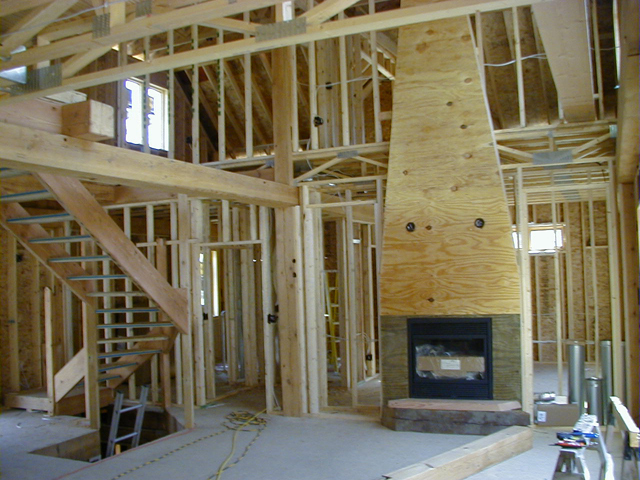 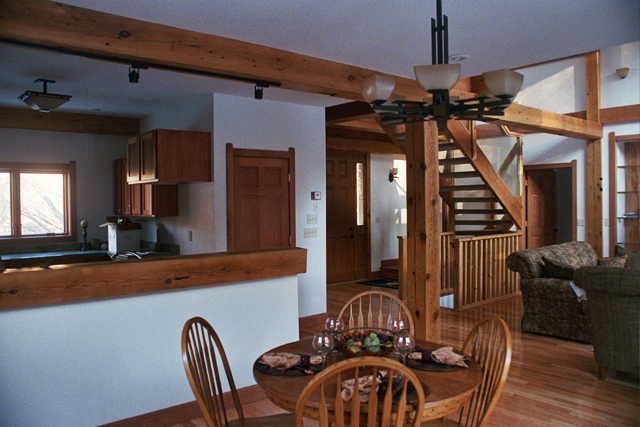 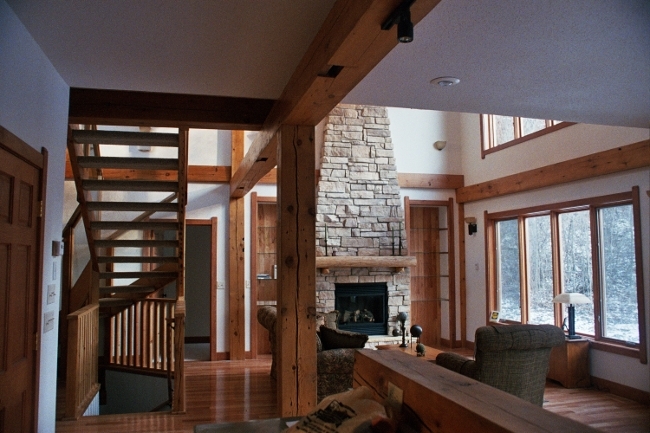 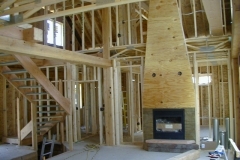 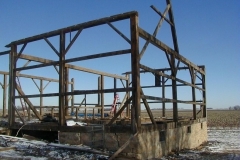 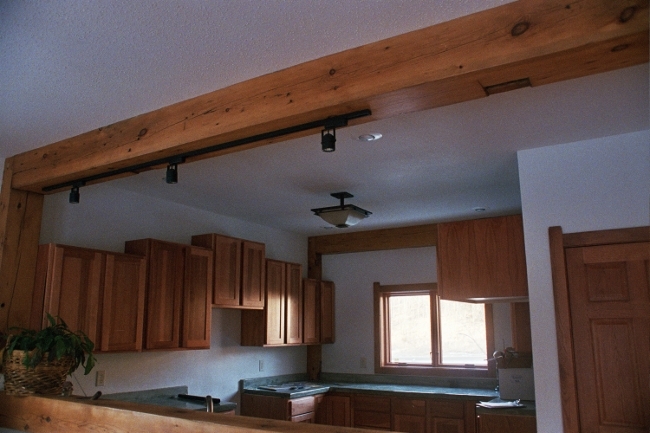 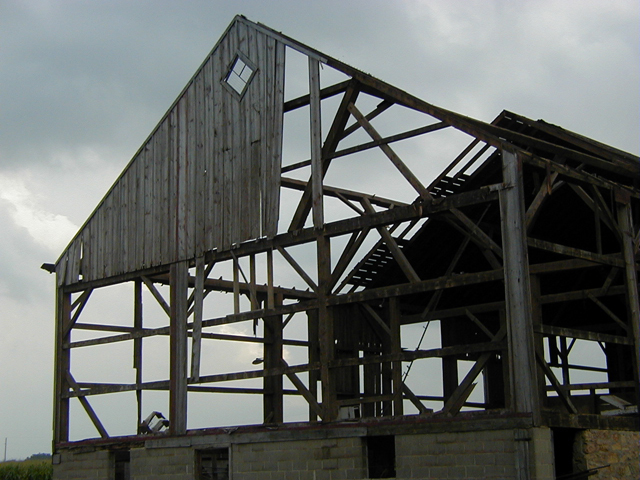 The unique use of in-fill framing exposes most of the reclaimed timber frame and removed the need for structural engineering on this project. Focal points of this home include the tempered glass stairway, two story fireplace, concrete countertops, reclaimed oak flooring and custom trim. 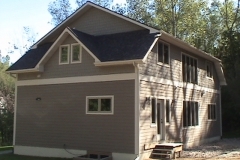 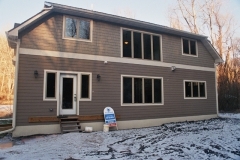 Call for an appoint to see this home if you are considering building such a home.